RxBox is a telemedicine device developed by the NTHC. In April 2017, SIL-Asia was certified by the NTHC and UP Manila as the sole interoperability tester for RxBox. CHITS is an EMR developed by the National Telehealth Center. This software is deployed in communities for use in their health units. SIL-Asia has a CHITS installation as it uses CHITS as one of its reference technologies for its interoperability platform. OpenMRS is an Open Source Medical Record System that is made available and is improved by a community of developers. 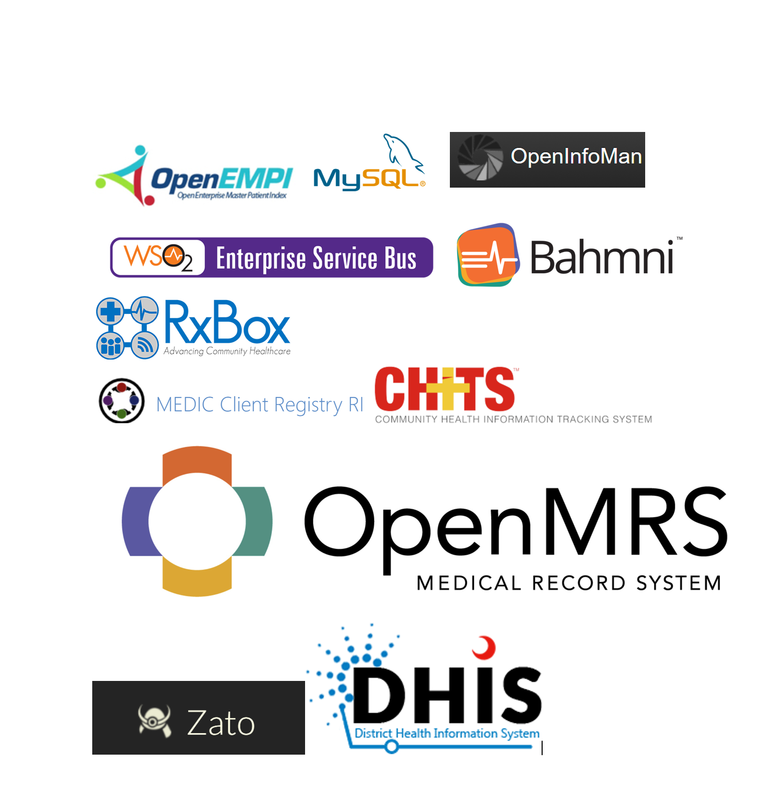 OpenMRS is the foundational software used by various EMRs around the world. Bahmni is a HIS developed by Thoughworks. This uses OpenMRS as its based software. SIL-Asia uses Bahmni as its reference hospital information system in its Interoperability Platform. Zato.io is a python based Enterprise Service Bus. This is an open source system that can be used to connect various systems (as an interoperability layer). WSO2 is a Java based, open source enterprise service bus. This is currently being used by SIL-Asia as its reference interoperability layer. MedicCR is a master patient index developed by the Mohawk Lab. This is the one of the reference MPIs of the OpenHIE community. OpenHIM is a JS based mediator developed by the Jembi lab. This is currently the reference interoperability layer of the OpenHIE community. OpenEMPI is a java based master patient index. This is currently the reference system used by SIL-Asia in its interoperability platform. This is the reference Health Worker and Facility registry used both by OpenHIE and by SIL-Asia in its interoperability platform. This an open source health management information system used to generate health reports. The ADB’s Digital Health Impact Framework (DHIF) is a ten-step methodology developed by Tom Jones, Peter Drury, Philip Zuniga and Susann Roth. It helps Ministries of Health and health systems decision making by building digital health to identify digital health strategies and projects that offer affordable Value for Money (VFM) and mitigate risk. More details may be found HERE.